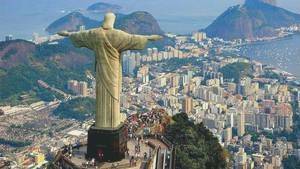 Christ the Redeemer on Mount Corcovado, in Rio de Janeiro, is a monumental statue with a religious vocation. It was installed in the first half of the 19th century to celebrate the centenary of Brazilian independence, but just like the Statue of Liberty in New York, it was inaugurated a few years later. This statue almost never appeared so much the project of its construction was questioned. From the initial sketch, almost impossible to realize, to the technical difficulties of construction, there was always a reason for not being able to do what was foreseen. But the statue is there today, proof of the tenacity of its promoters. At the origin of the project, there was the Brazilian State who wanted a monument to commemorate the centenary of Brazilian independence. A contest was launched, and Heitor da Silva Costa won. His sketch depicted a statue of Christ standing holding in his hand an earth globe and carrying a cross on his shoulders. On the basis of this drawing the site began on April 4, 1922, with the laying of the first stone ... but it was only a symbolic launch since the next two years were devoted to the improvement of the statue, structure and materials. The real works began in 1926 but were rather slow. The builders worked on wooden models that were purposely built for the occasion, they were of various sizes depending on what to do. But this way of working was not satisfactory, and it was felt that the project would not come to an end by doing so. In 1928 the decision was made to stop the construction and to review the project on a more solid basis. It must be said that in the meantime the sketch of the project had spread widely and the globe was seen as a balloon, which was not abnormal in the country of football. (In the 1930s, this sport was already terribly popular in Brazil). If one adds the technical difficulties in making such a statue one comes to the conclusion that it is necessary to see everything again and make a different statue. Da Silva Costa then went to Europe to meet the artists who had managed to make such statues. He surrounded himself with different people: the artist Carlos Oswald resumed the general form: Christ would be himself the cross, his outstretched arms signifying the redemption of mankind at the crucifixion. Such a statue required considerable effort, so traditional materials such as cast iron or copper could not be used. It was a new material that was chosen, something innovative: concrete. But nobody really knew how to dose it, how to use it. Silva Costa asked Albert Caquot, a French engineer, to take on the role of the designer of internal architecture. It is he who will make the concrete part, as well as all the calculations that go with it. Da Silva Costa asked Antoine Bourdelle, who had worked with Rodin and who was one of those approached to make a model a 4m high ladder from Oswald's drawings. But it did not end with him, and finally it was the French sculptor Paul Landowski, of Polish origin, who was chosen as responsible for the construction of the monument. He asked Gheorghe Leonida, a Romanian sculptor, to take care of the face of Christ, a delicate operation, but otherwise the spots were simple: Silva Costa was the designer of the statue, Carlos Oswald the draftsman, Paul Landowski the sculptor, aided by Gheorghe Leonida. But there was still a problem to be solved: We still did not know how to make a concrete architecture so imposing, so there was a link in the chain. Now that each task was assigned, the project was really launched. First of all, Paul Landowski modified the drawings of Oswald. He purified his head and hands in a more modern style for the time. Then he made the clay head, in real size, then a hand. This work, made in Paris, was sent by boat to Rio. Received on site by boat, the local work consisted of reproducing concrete models of clay, which took some time. On the spot the work of the terrace was going well, and the base and its chapel were built. A steel frame was added to join the statue to the pedestal and the terrace, and then the concrete blocks representing the body of the statue were sunk. The molds were made locally on the basis of the various pieces sent by Paul Landowski, pieces of clay. Once poured, dried and then decoupled, the blocks were stacked to form the body, and then at the arms the structure was reinforced to support the weight of the arms. Finally, the head was installed. The interior of the statue is a succession of 12 steps connected by rather steep staircases. The 10th stage is special because it is he who distributes the galleries inside the arms. At the top there is a trapdoor to go outside. The top of the head was equipped with lightning conductors. All that remained was to find the pavement, since raw concrete did not satisfy Da Silva Costa. 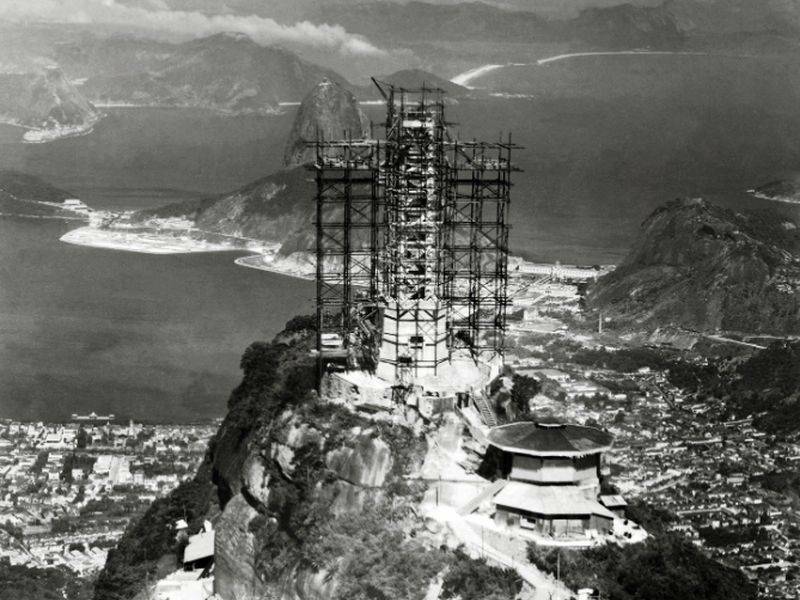 When it was decided to use concrete as a material, Da Silva Costa knew unlike the other materials he would have to cover his statue with another material, but did not know which one. In fact he had the idea in Paris, on the Champs-Elysees. There was, in a gallery, a fountain covered with a silver mosaic. Seeing how the little tiles covered all the curved profiles of the fountain, I was soon taken by the idea of using them. After studying this stone it concluded that it had the necessary characteristics because it has the advantage of being very little subjected to the variations of temperature while remaining a soft rock. This stone was destroyed in rather small pieces that were polished before being applied in facing on all the areas of the statue, forming a gigantic mosaic. According to Heitor da Silva Costa, it was the first time that the technique of mosaic was applied to a monumental statue. 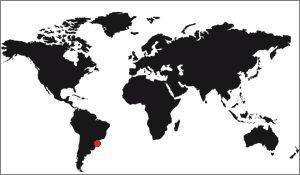 The choice of soapstone came in part because it had been previously used by the 18th century sculptor Aleijadinho, said the cripple, in the Brazilian state of Minas Gerais, north of Rio. After losing his fingers as a result of illness, Aleijadinho miraculously continued sculpting ornamented statues with a hammer and a chisel attached to what remained of his hands. That these were still in good condition 120 years later, in the opinion of Heitor da Silva Costa, testified to the durability of the stone. 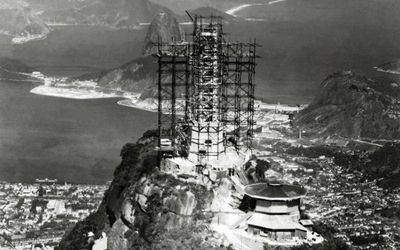 Inauguration of Christ the Redeemer.